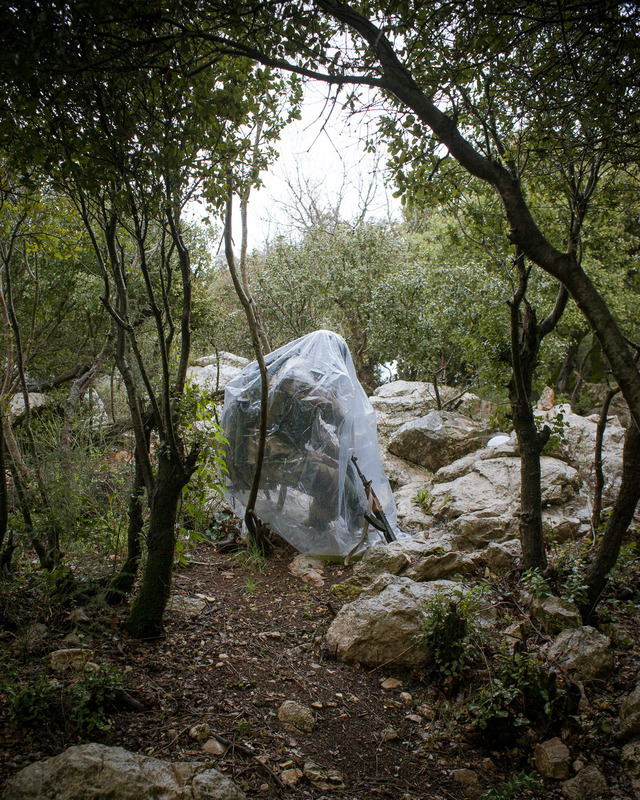 For its self-manifestation, Hezbollah has established a bizarre theme-park in South Lebanon close to the Israeli boarder. 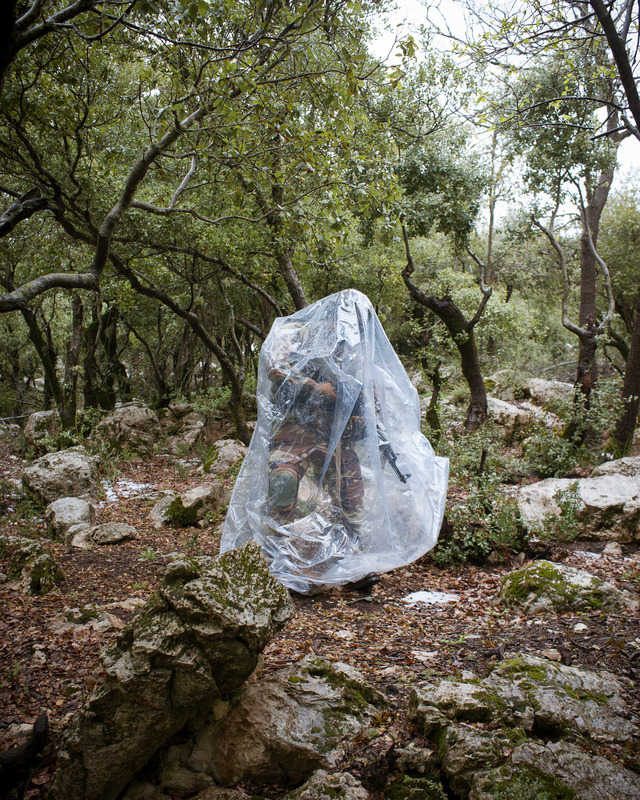 On a rainy day in March I photographed the park’s durmast oak forest. 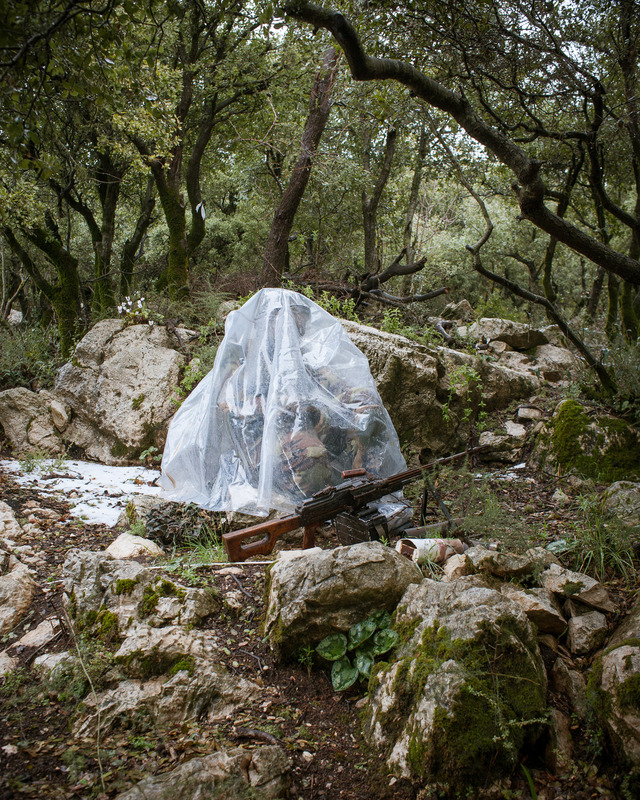 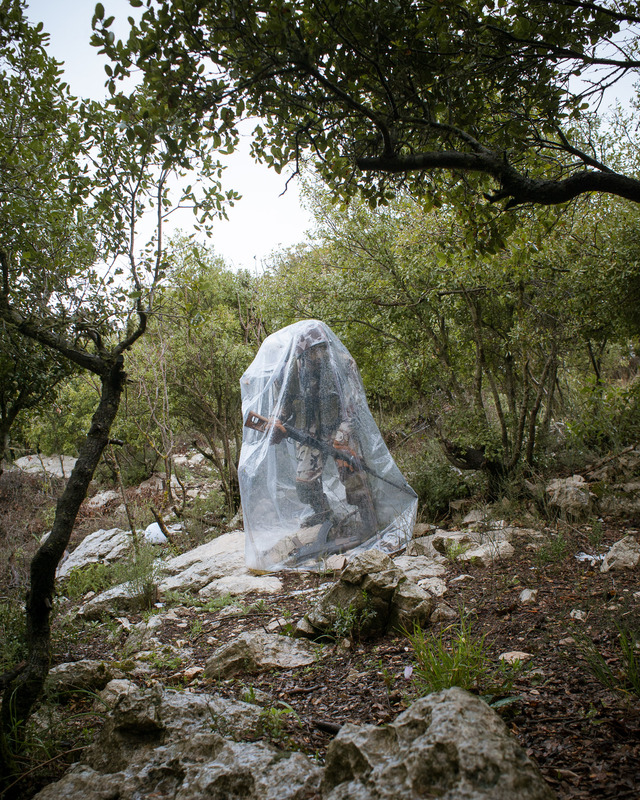 To avoid humidity, the Hezbollah-fighter-dummies showcased in the forest are cautiously covered through plastic rain protections.